SYDNEY, Australia, March 27, 2013 (ENS) – Australia and China are working in concert to develop their individual carbon trading markets as a first step towards a broader Asia-Pacific carbon market, officials from both countries announced today. The announcement came at the Australia-China Ministerial Dialogue on Climate Change in Sydney, led by Greg Combet, the Australian minister for climate change, industry and innovation, and Xie Zhenhua, the vice chairman of China’s National Development and Reform Commission. China is the world’s largest carbon emitter while Australia is the world’s highest per-capita carbon emitter among developed nations. The two countries are cooperating in an attempt to limit emissions of the heat-trapping greenhouse gas carbon dioxide that arise from the burning of coal, oil and gas. China aims to move to a national emissions trading scheme after 2015. Australia has set a carbon price that will transition to an emissions trading scheme in 2015. 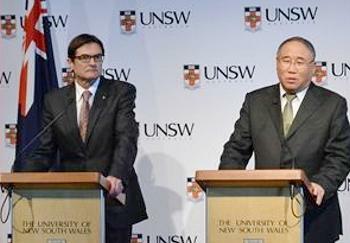 As part of their annual dialogue, both officials took part in the Australia China Climate Change Forum at the University of New South Wales. Xie challenged the “misunderstanding” that China – the world’s biggest polluter and second largest economy – was failing to act on carbon emissions. A senior official from China’s Department of Climate Change, Dr. Jiang Zhaoli, told the conference China would face a “horrific” future with unimaginable consequences for its people and its natural environment if it did not act decisively now to curb climate pollution. Over the past two years Australia has been working closely with China on the development of its pilot and national emissions trading schemes. Two weeks ago, for the first time, China made public its detailed plan to implement a nationwide emissions trading scheme. 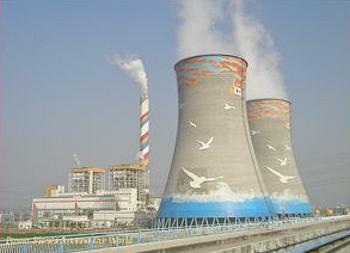 China has decided to establish a national carbon emission trading system by 2015. As a first step, carbon-trading pilots have been initiated in two provinces – Hunan and Guangdong – and five of China’s largest cities – Beijing, Chongqing, Shanghai, Shenzhen and Tianjin – all with high energy consumption and high emissions. The seven pilot cities and provinces have a total population of around 250 million people – about 10 times Australia’s population – with roughly twice the carbon emissions covered by Australia’s system. Guangdong’s annual carbon emissions are almost as high as those of all Australia. Guangdong’s pilot will cover over 40 percent of the province’s total power consumption, and around two-thirds of its industrial energy use including steel, iron and manufacturing. Australia’s emission trading program applies to businesses which emit more than 25,000 tonnes of carbon pollution a year, while the thresholds in the Beijing pilot will be only 10,000 tonnes. As a result, Beijing’s pilot scheme will cover some 600 companies, including electricity generation companies, steel producers, rubber plants and petrochemical factories. Combet said China is closely monitoring the implementation of Australia’s emissions trading scheme and its Clean Energy Future package to inform the development of Chinese policy. California, New Zealand and the Japanese cities of Tokyo and Saitama already have emissions trading schemes in place. South Korea will start its carbon trading market in 2015. The Australian and New Zealand governments announced plans to link the two countries’ emissions trading schemes back in December 2011. University of New South Wales’ Centre for Energy and Environmental Markets will work with Chinese researchers in several of the seven regions identified for pilot carbon trading markets, including Beijing and Shanghai, to study the design, implementation and operation of the pilot schemes plus other key issues for successful emissions reductions.